Well, Tiger Roll has done little to suggest he is anything but in the very form of his life right now. The diminutive 9yo gelding has to shoulder 6lb more on his back today off 11st 5lb and races off a 9lb higher handicap mark than he did a year ago, but he looked to be in seriously top order when sauntering to a hugely impressive success in the Cross Country at the Cheltenham Festival last time out. Top odds of around 9/2 are very short and will be enough to put off most “value” seeking punters, but if Tiger Roll stays out of trouble and is still hard on the bridle as they go out on the final circuit, he will be the thick end of odds-on on the exchange to be in front of whatever rivals are left come the finish line. In opposition is one of the strongest fields ever assembled for the Grand National. Ruby Walsh is riding Bobbyjo Chase and 2018 Cheltenham Festival winner Rathvinden and he seems to be very confident, as he should be aboard this very talented stayer who has a nice racing weight of 11st. His jumping seems better these days and he must be respected. Willie Mullins also saddles up Pleasant Company, who was very unlucky not to get back up and beat Tiger Roll in this last year. With that in mind, his price of 18/1 makes plenty of appeal against the market leader; he has not been firing this season though, which is the concern. Richard Johnson has enjoyed a couple of big spins in the Grand National but is yet to win the race. 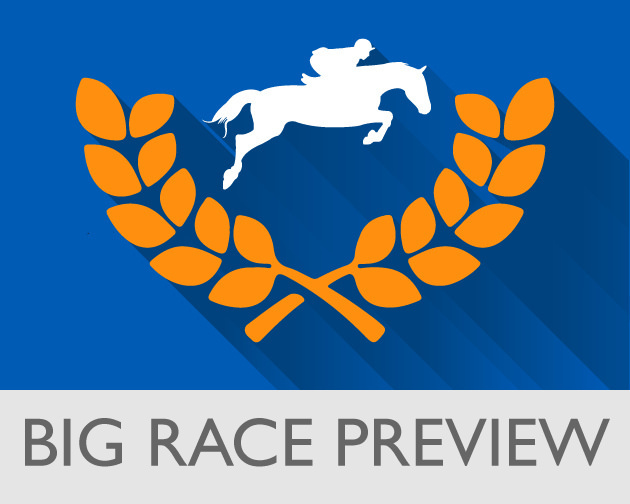 In the form of the Philip Hobbs trained Rock The Kasbah, he has one of his best chances aboard this really solid handicap chaser. He looks as though he’ll stay the trip, he’s been trained for the race and has a nice weight of 10st 13lb on his back. Gordon Elliott has no less than eleven runners in the field and his Jury Duty has been subject to a late gamble, while his General Principle has been sounded out as a live outsider for the Gigginstown operation. Lake View Lad and Vintage Clouds carry the hope of the North and even further North, One For Arthur, the 2016 Grand National winner, has been steadily making his way back to his best for another stab at the big one. For the once-a-year punters and favourite name pickers, interesting names such as Livelovelaugh, Tea For Two, Warrior’s Tale and Go Conquer are sure to attract some fans. At enormous prices of 100/1+, the likes of Valseur Lido and Magic Of Light could give backers a reasonable run for their money. Another trainer with major claims here is David Pipe, who saddles up Vieux Lion Rouge who is reported to be in rude health, along with Welsh Grand National runner-up Ramses De Teille. The latter named is a 7yo and they have a poor record in this race, but this particular 7yo horse has a better chance than some would have you believe because of that stat on his age. He jumps and travels strongly, has a touch of class and if he gets home, he’ll surely give a very strong account of himself. The likes of Joe Farrell and Step Back also boast excellent profiles for this and tick plenty of boxes. Like all Grand Nationals, luck, jumping and stamina are the name of the game.